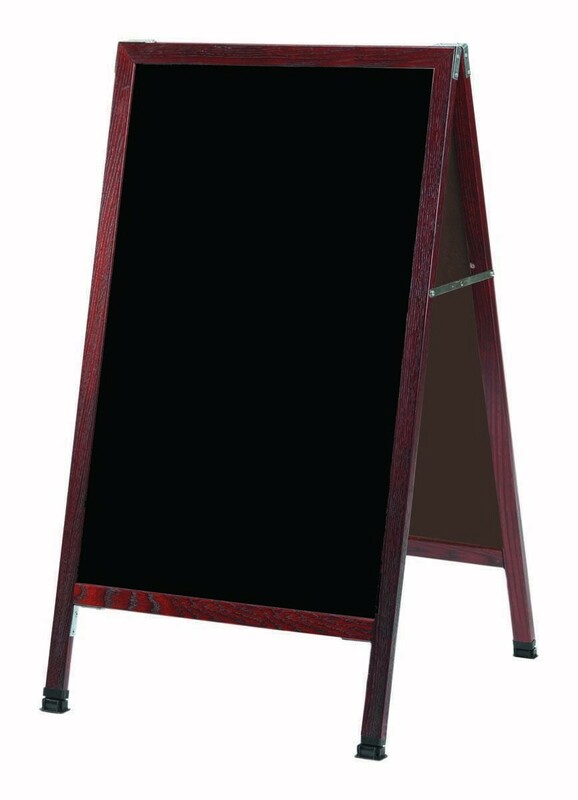 Cherry frame black acrylic a-frame, 24" W x 42" H. Frame sidewalk boards make great POP signs that broadcast messages effectively. Great for restaurants, pubs, video stores, repair shops, jewelry stores, and service stations. Features include: Steel Reinforced Corners, Weather resistant Hardware, Plastic Camel Foot floor leveling system, and Full Length Aluminum Hinges.